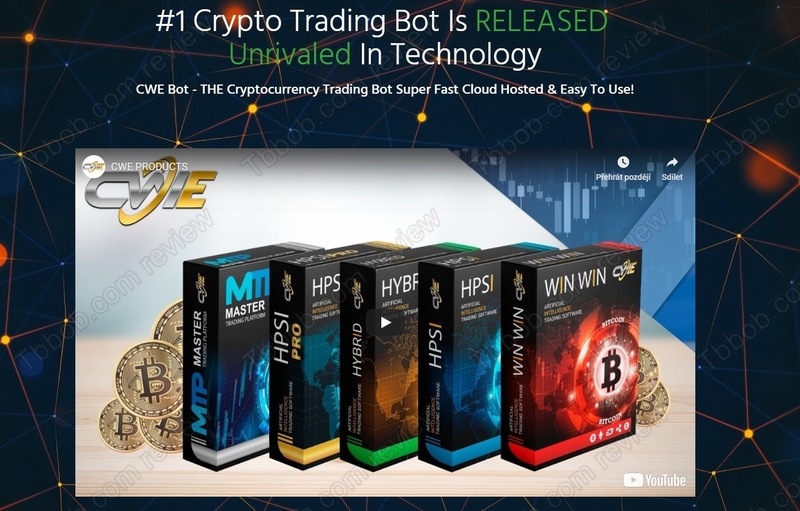 The CWEBot is a cloud hosted trading robot that will allow you to trade cryptocurrencies on different exchanges, such as Binance or Bittrex. 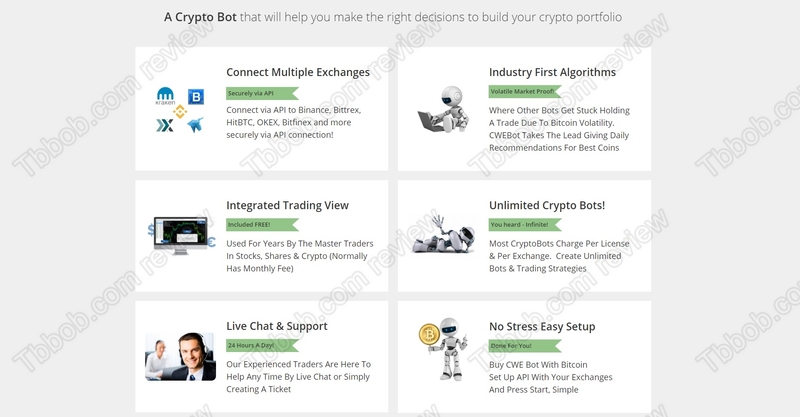 You can create your own bot and strategies, but the bot will also give you daily recommendations. Testimonials suggest that it is generating profitable trading signals. Is it true? Should you pay $500 or even $2000 for a licence? Let’s start with some basic things. Crypto World Evolution is obviously careful not to explicitly promise profits, but testimonials they show imply that the robot can trade profitably for you. In our opinion it is borderline investment advice, which is a regulated activity. But CWE Bot is not regulated, we don’t even see any contact information on their web page. We believe that any national financial regulator would classify CWE Bot as an unlicensed software that you should stay away from. The main reason why we don’t hesitate to say that CWE Bot is a scam, are testimonials. They are totally made up. As you can see on our picture Crypto World Evolution has used stock photos for the reviews of alleged customers, so they are fake. This makes CWE Bot a scam. CWE Bot is a scam because Crypto World Evolution is trying to persuade you with fake testimonials. For trading we recommend using only regulated services and regulated brokers.